Have you been snuggled up under a duvet this weekend binge watching the second series of The Crown? 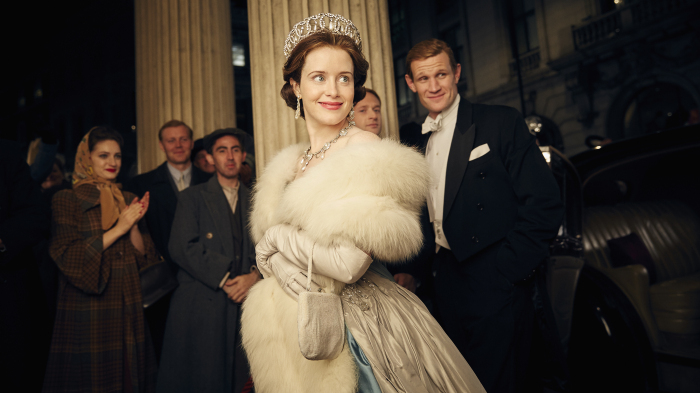 The new series of the Netflix TV drama charting the life of Queen Elizabeth II covers the decade from the mid-1950s to 1960s, following the Queen’s relationship with her husband Prince Philip and Princess Margaret’s glamorous life with Lord Snowdon. The drama features towering political figures of the era including Winston Churchill, John F Kennedy and his wife Jackie. The series has not disappointed fans. With big budgets (over £100 million spent on series one alone), it is a lavish production with spectacular backdrops showcasing some of Britain’s most iconic locations from Westminster Abbey to Kensington Palace and Buckingham Palace to name a few. In series one, Ely Cathedral replaced Westminster Abbey for the wedding of Queen Elizabeth and Prince Philip, Lancaster House stands in for Buckingham Palace in both series and Loseley Park in Surrey was used as the home of Lord Mountbatten. The Art Deco Eltham Palace features as the Queen’s quarters on the Royal Yacht Britannia, while Belvoir Castle in Leicestershire makes an appearance in series two. You can visit all these locations and more with one of our Blue Badge Guides. Blue Badge Guides are the only official guides allowed to run private tours of Westminster Abbey and Windsor Castle with secret entrances to avoid the queues. Film fanatic? We also offer private tours of other film locations with Harry Potter and Downton Abbey amongst some of the favourites.